Indiana Pacers @ Brooklyn Nets Free NBA Betting Preview for Friday. December 21, 2018. Charliessports.com produces it for Basketball Betting. NBA Expert Daily Picks are the best in the industry and will continue through the NBA Finals in June of 2019. 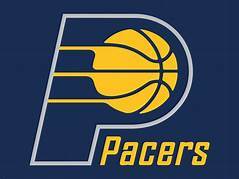 The (20-12) SU, (17-5) ATS Indiana Pacers look to break a two-game skid in the Big Apples largest borough Friday. Indiana lost to Toronto 99-96 as 4′ point road UNDERDOGS ATS. Indiana is two games behind first-place Milwaukee in the Central division. It’ll also be the third game in four night’s for the leagues top-rated scoring defense; they allow opponents (100.8) ppg. UNDER bettors have made a profit the Pacers last ten overall. The UNDER is 6-0 Indiana last six on the road. The Pacers are 13-5 ATS their last eighteen in Brooklyn. Indiana is 4-1 ATS their last five following a POINT SPREAD cover. The (15-18) SU, (18-15) ATS Brooklyn Nets beat Chicago as 2 point road FAVORITES ATS on December 19th for their seventh consecutive victory. Brooklyn got swept by Indiana last season and had lost their previous eight SU vs. The Pacers. 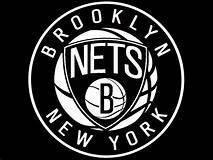 The Nets are the ninth seed and fourth in the Atlantic division, nine games behind first-place Toronto. Brooklyn is 5-0 ATS their last five at home. The Nets are 1-7 ATS the last eight between the teams. The UNDER is 4-0 the last four between the teams in Brooklyn. OVER bettors have cashed in 2 of Brooklyn last three at home. The current Betting Line has Indiana as a 2′ point road FAVORITES ATS. The TOTAL is 211′ points for Friday’s contest. Indiana Pacers head coach Nat McMillan has plenty of offensive weapons at his disposal. However, after losing a 17 point lead in Toronto, he’ll be emphasizing more efficiency at the free throw line and ball control as they missed crucial foul shots. The Pacers have the leagues 25 ranked scoring offense at (105.9) points per contest while shooting (47.3%) from the field which ranks 8th in the NBA. Guard Victor Oladipo leads the Pacers in scoring with (20.3) ppg while point guard Darren Collison dishes out a team-best (5.7) assists per game. Power Forward Domantas Sabonis grabs (9.9) rebounds per game with Myles Turner, Oladipo and Thaddeus Young also contributing. The Pacers understand they can compete with the best team in the Eastern Conference. After their 2018 first-round loss to eventual Conference Champions Cleveland Cavaliers the Pacers believe they’re the team to beat. Brooklyn has been playing with confidence the past week and a half which will be good for the Pacers. A key to an Indiana win is to keep the game at a slow pace also Turner will get a chance to face off Brooklyn big man Jarrett Allen who’s another University of Texas alumni; Allen is getting a lot of positive attention. The Brooklyn Nets won a slow-paced game Wednesday in Chicago, but the Bulls aren’t the quality of Indiana. Both teams shoot well from beyond the three-point stripe, Brooklyn (35.7%), 10th in the league while Indiana ranks 5th at (37.1%). Spencer Dinwiddie was signed to a contract extension and is showing the fans why with scoring production during the winning streak. The Nets average (110.6) points per game which are 16th in the NBA while the (111.2) they give up to opponents is tied for 18th with Minnesota. Indiana wants to make Brooklyn a jump shooting team, and with the Nets playing three games in four nights they must give effort on each possession at both ends of the court. With Caris LeVert out with an injury Dinwiddie (17.5) ppg and D’Angelo Russell (18.0) are proving they’re capable of taking up the slack. Russell also dishes out a team-best (6.2) assists per contest on a team that ranks 6th in the league averaging (22.4) apg. Head Coach Kenny Atkinson deserves credit for keeping the team believing after LeVert went on the shelf. Joe Harris (13.3) points per game are also stepping up, and his stock is rising; the former Virginia Cavaliers standout can also play tight defense. Brooklyn knows they’ll be playing a Pacers team that’s hungry for a win and they much match their intensity. Free Pick. Indiana-2′ Points. Also Play Online Poker Plus Other Casino Games and enter some of the best Tournaments on the World Wide Web. 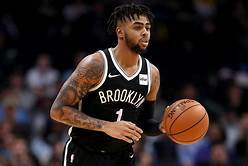 Toronto Raptors @ Brooklyn Nets (Atlantic Division) NBA Betting preview for Friday, December 7, 2018. Written by National Basketball Association ATS Analyst Bobby Wallace. 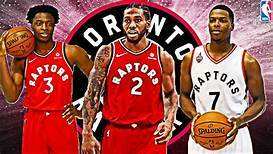 The (21-5) SU, (13-13) Toronto Raptors have won 9 of 10 SU including a 113-102 victory over Philadelphia on December 5th as 6′ point home FAVORITES ATS. Kawhi Leonard scored a team-best 36 points while Jimmy Butler for the 76ers leads both teams with a game-high 38 points in defeat. Toronto owns the best record in Basketball. As much success, they’re having there’s still tension between Kyle Lowry and management over how they handled DeMar DeRozan. OVER bettors have cashed in 5 of Toronto last six after an ATS cover. The Raptors are 1-4 AGAINST THE POINT SPREAD their last five following SU win. UNDER bettors have cashed in 4 of the last six between the teams in Brooklyn. Toronto is 5-2 ATS their last seven vs. Brooklyn. 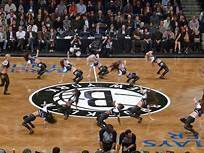 The (8-18) SU, (11-15) ATS Brooklyn Nets have lost eight in a row after blowing an 18 point fourth quarter lead to Oklahoma City in a two-point SU loss as 6′ point home UNDERDOGS ATS. However, the Thunder outscored Brooklyn 39-19 in the final quarter to ink out a win. One trend continues to favor bettors, Brooklyn is 20-6 ATS in first quarter proposition wagers. Brooklyn is 2-4 ATS their last six at home. The Nets are 4-0 ATS their last four after a POINT SPREAD COVER. The UNDER is 4-2 the last six between the teams in Brooklyn. OVER bettors have made a profit in 4 of the Nets last seven at home. Friday’s game is at 7:30 PM EST at Barclay Center in Brooklyn, New York. The Local Television Network will be broadcasting. The Betting Line has Toronto point road FAVORITES ATS. The TOTAL is 221 points for Friday’s contest. Nick Nurse should be the front-runner for 2018-19 NBA coach of the year for the job he’s done North of the Border since taking over for Dwane Casey. The organization understands Kawhi Leonard could have a short stint in Toronto which is why an Eastern Conference title is a top priority. Leonard is a native of Southern California with a desire to play for the Lakers or Clippers. However, it could change if Toronto gets to the NBA Finals. Toronto averages (116.4) points per game which ties Golden State for third place, the (49.0%) shooting from the field is 2nd in the league. Leonard pours in (26.1) ppg. The Raptors have captured 4 of the past five Atlantic division title, but they know Boston can compete. Toronto has won 5 of their last eleven by double digits making tonight’s line favorable for FAVORITE bettors. The Raptors allow opponents (108.0) points per contest which ties Orlando for seventh in the Association; their (44.3%) shooting by the opposition is 6th in the NBA. The Raptors have lost to Brooklyn since 2015, and tonight the Nets need to get a win in the worst way. Toronto must come out and play their style of basketball. Bovada.Lv list the Toronto Raptors win total at 54′ games for 2018-19. It would be easy for Brooklyn head coach Kenny Atkinson to be frustrated after their latest debacle against Oklahoma City. The Nets were competitive for 45 minutes in defeat and looked better than they did in a home loss to Cleveland. Caris LeVert is out until February with a foot injury which means the offense will run through D’Angelo Russell (18.0) ppg. The Nets offense produces (108.7) points per contest while giving up (111.1) ppg to opponents. They’ve given up more than 110 points to 4 of their last six opponents at Barclays Center and haven’t held Toronto under 100 points in the previous ten meetings. Fans in largest borough of New York City fell the Nets lack a superstar, they thought Russell could fill the void, it hasn’t happened. Backcourt mate Spencer Dinwiddie is a good as he’s going to get, but John Wall would be a great fit with Brooklyn. Ed Davis and Jarrett Allen grab eight rebounds apiece per game which the Nets are pretty good at doing, they rank 17th in the league. Atkinson has to keep things light by letting the team know they can compete which shows in the leads they’ve given up to elite teams. Beating Toronto could go a long way in building their confidence. Brooklyn must make the open shot and play defense in the fourth quarter. Bovada.Lv list the Brooklyn Nets win total at 32′ games for 2018-19. Free Pick. Brooklyn+9′. Also Play Online Poker Plus Other Casino Games and enter some of the best Tournaments on the World Wide Web.